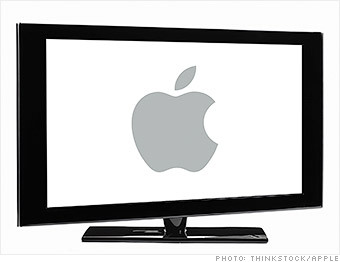 Apple has almost given up on keeping its TV ambitions a secret. "When I go into my living room and turn on the TV, I feel like I have gone backwards in time by 20 to 30 years," CEO Tim Cook told NBC's Brian Williams in a recent interview. "It's an area of intense interest. I can't say more than that." So why don't we have an Apple "iTV" yet? Because cable and content companies don't want to go the way of the music and wireless industries -- two previous markets that Apple (AAPL) "transformed." While the executives wrangle it out, consumers are stuck with a patchwork of dueling devices, interfaces and subscriptions.